Although I am not a great lover of the historical period drama, I was looking forward to an Andrea Arnold take on the genre and I was not disappointed. 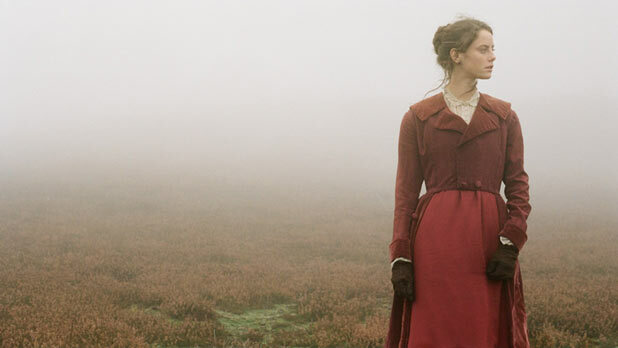 Having never seen any other adaptation of Emily Bronte’s famous novel I went to see this latest version of Wuthering Heights (2011) with no preconceived ideas and from the perspective of any other new film release. The young Heathcliff and Cathy. Arnold and Olivia Hetreed (who also wrote the screen play for 2003’s Girl with a Pearl Earring) adapted the 1847 novel giving it a new twist and making the most intriguing part of the story the early lives of the doomed lovers and the devastating effects it has on both of them and the people around them all seen from Heathcliff’s point of view. Brought from the Liverpool Docks to the remote farmhouse on the isolated Yorkshire moors by the hill farmer Mr. Earnshaw to live as part of his family. This young black orphan immediately strikes up a friend ship with Earnshaws young daughter Cathy; an obsessive relationship develops fired by their adolescent sexual desires. Heathcliff’s life on the farm takes a turn for the worst when Cathy’s father dies and her elder brutish brother Hindley treats him as slave labour as well as physically and verbally abusing him. 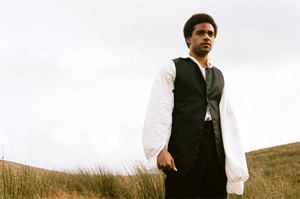 Heathcliff leaves the farm, returning some years later as a successful adult but when he discovers Cathy has married her neighbour, the well to do Edgar Linton, his mental state deteriorates. Cathy Earnshaw is to marry Edgar Linton.. 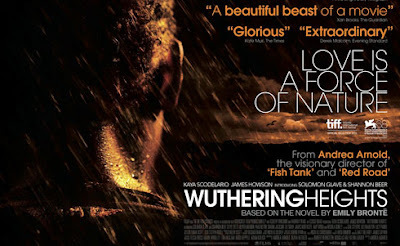 The movie has a grittiness and a tremendous sense of reality about it, which is interesting in a period piece, but its obviously helped in its authenticity by filming in a remote location at the Western end of Swaledale in North Yorkshire a cold and wet backdrop. With its minimal dialog it relies on visuals rather than the normal wordy outpouring of historical adaptations. As with her previous two feature films Arnold used as her Director of Photography Robbie Ryan who does an absolutely brilliant job with the dreadfully cold and bleak countryside making it almost a character in its own right. The camera work not only exposes the depravity of the times but also the raw beauty of the Yorkshire Dales. Heathcliff returns a wealthy man. As in her previous film the director works with a mix of actors and non-actors. Actress Kaya Scodelario plays the older Cathy, with James Howson making his feature film-acting debut as the older Heathcliff,. 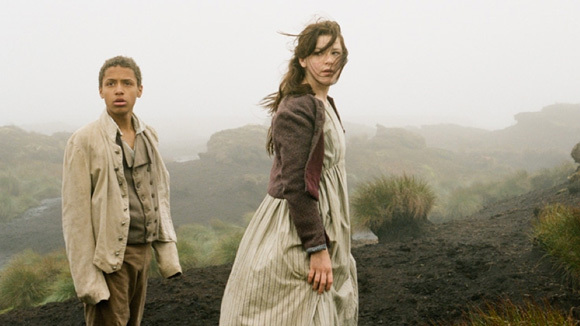 Other debut performances come from Solomon Glave and Shannon Beer as the younger Heathcliff and Cathy. More familiar names involved are Steve Evets who you would have seen in Ken Loach’s Looking for Eric (2009) and probably opposite Robert Carlisle in Summer (2008) and Nichola Burley, seen at the RBC Film Club in Dumfries in Soulboy (2010), as Isabella Linton. An immensely gifted and intriguing piece of filmmaking dealing brilliantly with the early lives of our two passionately doomed lovers. Don’t get me wrong it may be a romance but it’s both brutal and violent. After watching this I just could not imagine Lawrence Olivier playing the Heathcliff role!